Maternity care products industry in India has transformed from a small time interest market to a growing commercial industry, since 2007. The market space is largely concentrated amongst the giant retail stores like Mom&Me and Mothercare. Growing health consciousness among Indian consumers, especially in tier II and III towns, followed by penetration of information and technology, fuelling the growth of baby and mother maternity care products in India. Still nascent, the space is majorly dominated by unorganised players, however, witnessing stupendous growth while gearing up to grab a bigger pie in this much trailblazer space. India has emerged as the most preferred market for the companies involved in baby and maternity care product manufacturing and marketing. The growing segment of population in the age group of 0-4 years has been providing tremendous opportunities in child care products as compared to other category worldwide. “Parents across metros, tier I, II and III cities are becoming aware of the baby care products with the growing internet age. Availability of information making consumer aware of the safety standards of the products, they know what is good and what is not good for them,” said Vaibhav Pahwa, Product Development Manager, Bonny Products. Also, the factors like rising disposable income, fewer children per household, increase in working women population, desire to provide superlative care to the children and increased expenditure on baby care products, causing the educated and vigilant parents acknowledge the importance of choosing the right product for their kids. “People are ready to spend on the safety needs of their babies. They are not spending much on themselves, but are willing to splurge on ensuring pain free, damage free and toxic free products for their babies. 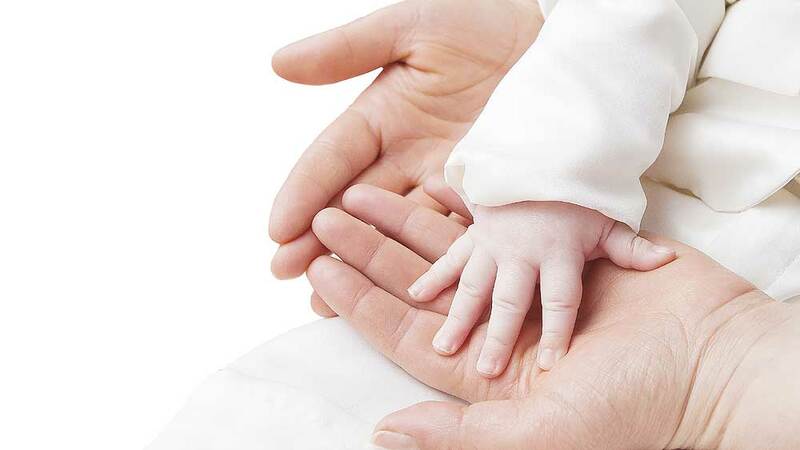 However, when it comes to maternity care, Indian moms are mostly laid back as for them only baby and the husband is important, their own convenience is secondary and it is never a priority,” said Bhavna Makhija, Brand Manager, Chicco. The new born and infants’ age group of 0 to 36 months constitutes the largest demand for the wellness baby and mom skin care products. Baby creams, diaper, moisturizer, lotion, shampoo, powder, baby massage oil, feeding bottles, socks and underwear are the basic requirement for babies and part of their daily skin care routine. “India has now moved from treating socks and undergarments as fashion statement. People are now getting equally conscious of these products. In fact, socks were something people really don’t pay attention to. I am really glad that new players are coming in the market and so is the growing awareness,” said Lubina Shapurwala, MD, Mustang Socks. Massage oil is the largest contributor to the skin care segment. Coconut oil, olive oil, almond oil, mustard oil and pure ghee are some of the traditional methods used to pamper babies. In addition to this, chamomile and aloe-vera have been used as key ingredients in massage oil since ancient times. Johnson&Johnson and Dabur are the two major brands holding the larger market share in this segment. With products like Dabur Lal tail and Dabur Baby olive oil, the brand holds dominant position in the market. Maternity apparels and breast pump are the basic requirements of mothers between 25 to 35 age old mothers. Maternity apparel is the fastest growing segments of maternity products market in India. Majority of the expecting mothers in India prefer to wear plus size clothes over maternity apparels. Compared to Indian ethnic maternity apparels the apparels like tops, t-shirts, dresses, jeans, trousers, leggings, skirts, night wear and others gaining acceptance with some of these styles have camouflaged feeding facility making them suitable for post-delivery as well. In fact, increasing media exposure and awareness amongst women has aided the popularity and growth of maternity products market in the country. These baby and maternity products are largely served by the leading brands like Chicco, Bonny Products, Huggies, Pamper, Libero, Propo Pants, Champs, Libero, Littles, Johnson & Johnson, Dabur, Mustang among others which are sold by the 90 per cent small and medium independent retailers like provision stores, supermarkets, hypermarkets, general stores, chemists shops and cosmetics stores. Also, the culture of shopping malls has provided a platform to the branded segment to launch and position their offerings to India’s affluent consumer base. “Importers are bringing foreign products and repacking those with the different brand names but it has never hampered the branded sector because these brands have very different standards of operations and the trade compared to the unorganized sector which is left with the wholesale trade to cover up with,” said Amit Bugthalia, CEO, Champs. Maternity care products industry in India has transformed from a small time interest market into a growing commercial industry since 2007. The market in India is largely concentrated amongst the giant retail stores like Mom&Me and Mothercare with the former having a greater market share. The major players in the online baby and maternity space are Babyoye.com and Firstcry.com followed by Flipkart, Amazon, Snapdeal among the others which contributes to 2-3 per cent of the total retail sale. Overall the baby and maternity care products market- which is highly fragmented and unorganized with more domestic and international companies are targeting middle class Indian consumers by expanding their outlets in Tier II and Tier III cities- is expected to grow fast with fast growing infant population in-line with the retail industry, Foreign Direct Investment entering with large retail presence to bring in organized way of retail and the investors are focusing on e-retail platform to increase their presence thus occupy a major share of the market. It is also expected that large number of companies from the US and Europe will target India to expand their operations and capture the untapped market. According to UBM, CBME report 2013, estimated to be US$11.12 billion and growing with a CAGR of 17 per cent in 2013, Indian baby and children products market was expected to reach US$ 21 billion (€16 billion) by the end of 2015 and, the maternity care products market is expected to remain niche in the near future but will record are relatively higher CAGR of 17.3 per cent from 2013-2018 as compared to16.0 per cent in 2008-2013. Talwalkar’s disclose 2016 franchise plans..